Bank Owned. Priced for Quick Sale due to squatter or holdover on property. Investors willing to evict can pick up a DC property for very cheap. Condo fee is not verified. 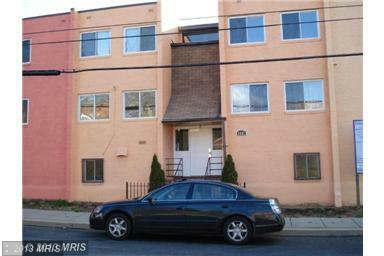 Renovated as a condo conversion in 2006 and the unit had stainless steel and granite counters at that time. Make an offer! Parking space available separately. Condo Fee: $325.